This Service Scheduling in Microsoft Dynamics CRM blog is written by one of our CRM Consultants, and sets out to help you get the most from service scheduling. 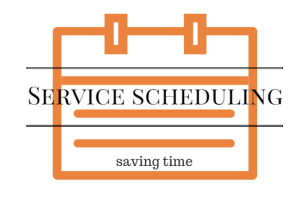 For more information to use service scheduling please contact us and we will be happy to help! 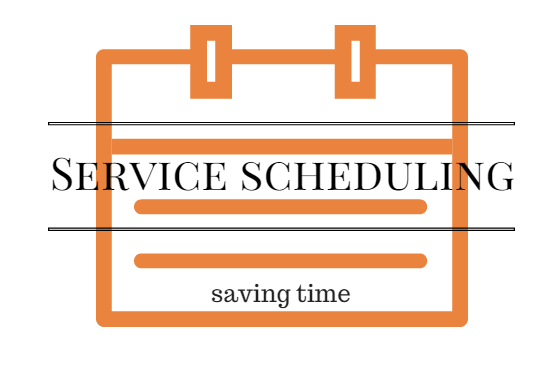 Why use Service Scheduling in Microsoft Dynamics CRM? Microsoft Dynamics CRM Service Scheduling Calendar is designed to generate easy scheduling of jobs that may require more than one person, with the right skills and the right equipment or facilities to do the work. In CRM terms, this kind of job is referred to as a “Service”. Microsoft Dynamics CRM enables schedulers to check the availability of teams of workers and other resources needed for a specific Service appointment or requirement – resulting in a delighted customer every time. It will give the CRM user a range of time slot options where all of the resources necessary are available. The CRM user then selects the preferred time slot, and all of the resources are automatically booked into the CRM Service Calendar. User Availability: Each user in CRM who will be delivering Services needs to have their “working hours” set up. This enables CRM to know the times and days that they are available to be scheduled. CRM also has the ability to capture days like Bank Holidays and to record whether or not a particular Resource will be unavailable on these days. Availability may also be affected by the User’s physical location. Microsoft Dynamics CRM allows Resources to be linked to a specific “Site”, if appropriate. Other Resources: In addition to Users, any facilities or equipment that need to be booked-out as part of a Service need to be created as a Resource in Microsoft Dynamics CRM. This might include such things as meeting rooms, shared vehicles, or perhaps demonstration supplies. Just like users, these may need site locations, available days or times set. Capacity: Some resources may have a specific “Capacity”. For example, a particular meeting room may only have 10 seats for 10 people. CRM allows such limits to be specified for each individual Resource. Resource Groups: It may be that several of your Users are capable of delivering a particular Service, and / or you may have several identical vans or demonstration kits. In this case, setting up a number of “Resource Groups” which include all resources of the same ability enables Microsoft CRM to automatically provide a variety of combinations of users and other resources that all meet the requirements of the Service. Services: Each Service to be offered must be qualified in CRM. In practice this means giving each one a name and a description, and providing it with the appropriate “Resource Selection Rules”. These enable Microsoft Dynamics CRM to select the right number and type of users, facilities and equipment items, from the right Site to enable the Service to be successfully completed. Its important to note that service activities can be rescheduled just like ordinary appointments from the Service Calendar. If a new date and time slot is required, the Scheduling Engine can be started again to find it. Want to find out more about service scheduling in Microsoft Dynamics CRM? Give me a call and we will be happy to architect your system and give you processes to manage all your servicing needs. This entry was posted in How to's and Using CRM by Catherine. Bookmark the permalink.